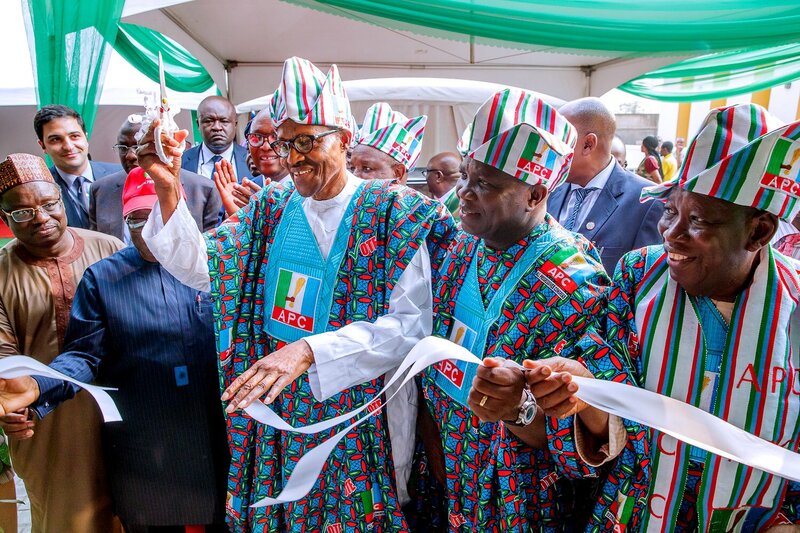 Nigeria’s President Muhammadu Buhari has inaugurated an advanced cancer treatment centre at the Lagos University Teaching Hospital (LUTH), Lagos and pledged to improve cancer treatment in the country. It was reported that the Cancer Treatment Centre was structured under a Public Private Partnership (PPP) arrangement between the the Nigeria Sovereign Investment Authority (NSIA) and the LUTH. The project is an $11 million investment for the rehabilitation, equipping and operation of an existing cancer center co-located in LUTH, which will provide advanced radiotherapy and chemotherapy treatment services. “Despite having an increasing number of citizens suffering from cancer, we until now had only two working radiotherapy machines in the country. Working through the NSIA and LUTH, we utilized a PPP model that unlocked investment capital to directly address this issue. “We will replicate this model across the country to bring quality, first class healthcare services to every Nigerian who needs it. In the case of the Cancer Centre, we can measure this value in currency, but we prefer to measure the value in terms of its social impact. “The number of lives of Nigerians that will be saved and positively affected as well as the impact of capacity building for our people,” he said. Buhari said that over the coming months, the NSIA would also commission two Modern Medical Diagnostic Centres. The president said two centres will be co-located in the Aminu Kano Teaching Hospital (AKTH), Kano State and the Federal Medical Centre (FMC) Umuahia in Abia State. Chief Executive Officer of NSIA, Mr Uche Orji said that the NSIA’s strategy in healthcare was to focus on areas of need within tertiary healthcare that have led to medical tourism to countries in Europe, East Asia and the Middle East. According to him, he identified Oncology, Nephrology, Cardiology and Orthopaedics as areas of need that had led to medical tourism. The Chief Medical Director of LUTH, Prof. Chris Bode, said that the Centre has three Linear Accelerators, a Brachytherapy Machine, a Treatment Planning System and a Chemotherapy Suite. He said the equipment are also manned by highly qualified Nigerian Oncologists and competent team.